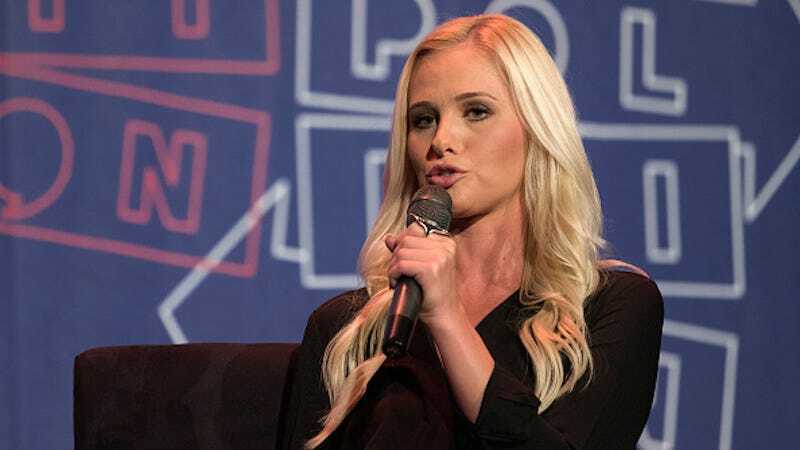 Eager to add yet another blonde talking head to its roster, Fox News announced on Wednesday that it hired Tomi Lahren as a contributor. According to Fox, Lahren will have a “signature role” in a “digital product currently in development.” Lahren will also offer her very necessary and insightful political commentary “primarily on Hannity.” Congratulations to everyone for knowing who they are. Since parting ways with Glenn Beck, Lahren has been working for the Great America Alliance, a pro-Donald Trump super PAC dedicated to “realizing President Trump’s promise to ‘Make America Great Again.’” In a statement on Facebook, Lahren said that she was “blessed and honored” to join Fox News, a network that has been embroiled in multiple sexual harassment lawsuits for the last year. “This exciting new step will allow me to give voice to all the America-loving patriots who have had my back since day one,” Lahren added. Lahren will make her network debut on tonight’s Hannity.